Columbus Day is a holiday honoring the landing of the discoverer Christopher Columbus in the New World on October 12, 1492. Read the given below Columbus Day Checklist to know the basic ideas about the celebration of this national holiday. 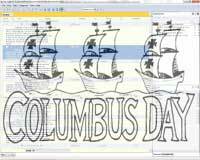 Columbus Day is a federal holiday observed on the second Monday in October in the USA (since 1971). Originally the day was first celebrated in New York in 1792, 300 years after Christopher Columbus landed in the Americas. Although this day is one of the American holidays, events are also held under various designations throughout Central America, South America and Spain. This day the Americans celebrate the anniversary of the discovery (October 12, 1492) with church services and other celebration activities. The holiday is also known as Landing Day or Discoverer's Day. In some cities, special church services, parades and large events are organized by local authorities. Following traditions, most celebrations are concentrated around the Italian-American community. In New York and San Francisco the celebrations are noteworthy. Some states do not celebrate the event. For example, Columbus Day is not a public holiday in California, Nevada and Hawaii. However, in the majority of the states of America the holiday is held with great celebrations. Prepare Holiday Snacks. Your kids will be glad to eat something tasty, so be ready to prepare cookies, biscuits, and candies. You can use your creativity to cook interesting and funny snacks, such as apple sailboat snack, ship snack, sailboat eggs, etc. Use Internet to find plenty of recipes. Organize a Party. In the evening you can organize a festive party and invite friends of your kids. In Internet you can find plenty of ideas and tips on party preparation and download worksheets. Read Poems and Sing Songs. Encourage your kids to learn and read some poems written by notable authors (Jimmie Durham, Joaquin Miller, Edward Everett Hale, Philip Frenau). Also make a list of songs and then sing them together with your kids. Trips. As the holiday signifies the discovery of America, making a trip to honored places of interests in the USA will be a great way to celebrate the event. Take your children with you and visit monuments, national museums, picture galleries, etc. Alternatively, you can spend weekend by going to theater or circus with your kids. Race to the New World. This game is like a small regatta held in a pool or local river. Kids participate in the competition by using their ships and boats. Often kids give historical names to their boats, like the Nina, the Pinta, and the Santa Maria. Discover It! Every kid can be Christopher Columbus for a day. Encourage your kid to read books about the explorer, his biography and how he has discovered the New Land. Then use your creativity to make a scenario and play a funny game with your kid. The leading role will be performed by your kid who will be Christopher Columbus. 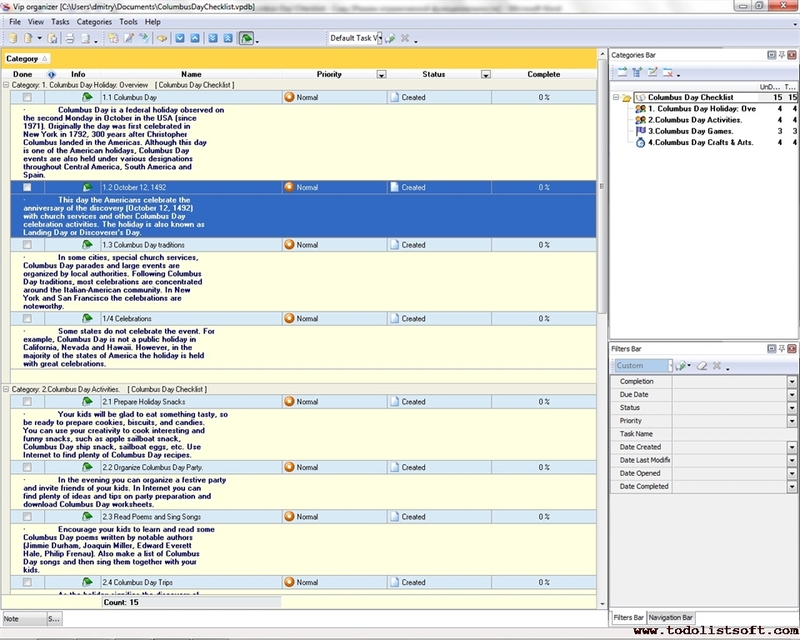 You can ask questions about the trip of the explorer and present gifts for given answers. Crosswords. Your kid will enjoy answering questions listed in crosswords. Download crosswords from the Web and print them out. Columbus Day Crafts & Arts.